Call for Philip Morr..., uh, I mean Roger Karlsson! Phone companies can usually provide translation services .... plus, most people in Sweden speak at least some English. All Swedes are required to study it in school. I studied Latin in school, and all I retained was "et tu brute?" I don't know if you are joking or Not? Denny, I was feeling tempted about posting the chef. 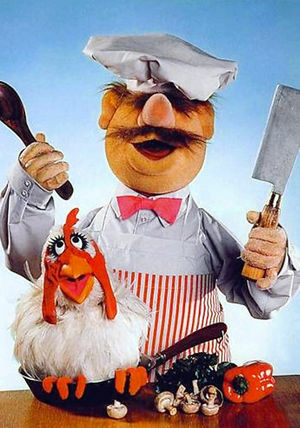 Chef was always so much fun! The kids didn't get it but we did. Most Swedes today speak English - some better than others. Suggest making the call yourself.